Dark, warm, lush, gorgeous. 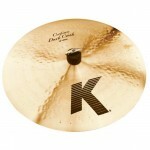 Re-creates the classic "old K" sound with the same dry overtones and smooth decay similar to the ride cymbals that have proved so popular. 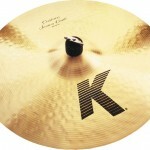 Fast, full-bodied response with an exceptional vintage feel. Good stick definition with a dry crash. 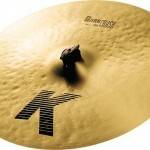 Zildjian's K crash cymbals are complex and sweet with tons of expressive possibilities. Dark and warm with a strong high end. 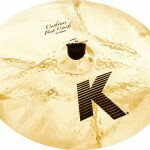 The cymbal won't overpower the kit but gives the rest of your sound a smooth wash. 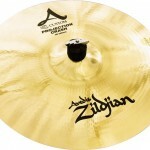 The mid range A Zildjian Crash Ride is a versatile all around cymbal. 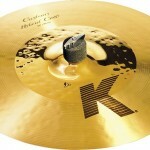 Use it as a ride, and although heavier than a normal crash, it has the ability to crash as well. 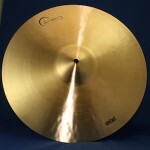 Available in 2 sizes: 18" and 20". 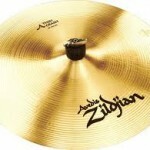 Fast, bright, and very responsive best describes the classic A Zildjian Thin Crashes. 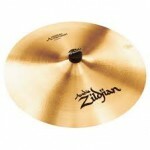 They have a small bell and medium sustain. 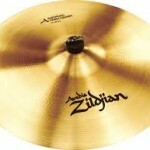 These are the classic crashes used for many years by traditional jazz and rock players. 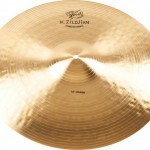 The Medium Thin A Zildjian Crash is a medium to high pitch sounding cymbal. It has long sustain and very good projection. 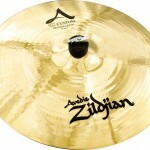 It is a good Rock cymbal and will project through most electronic setups. 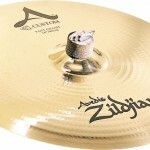 Available in four sizes, the most popular are the 16" and 18". 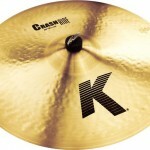 Made for heavier hitting, the medium crash is ideal for situations when projection is difficult because of high volume from other instruments. 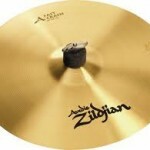 It is medium weight and has a bright sound with long sustain. 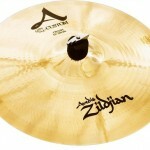 These bright and responsive Crash cymbals are perfect for providing clean accents. 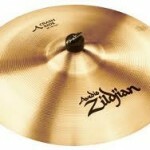 They are quick and very effective for emphasizing musical passages. 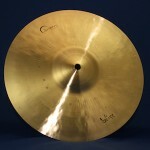 Made of Sheet Bronze for beginner, intermediate level player. Strong, full-bodies Crash with excellent projection qualities. An explosive attack with even decay. 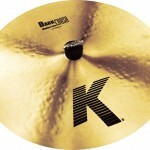 These are Sheet Bronze alloy cymbals designed for beginner, intermediate level players. 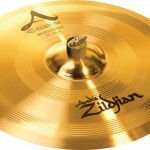 A Sheet Bronze alloy cymbal designed for beginners, intermediate level players. 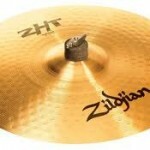 The ZHT Rock Crash is for heavy Rock playing with a full, explosive sound that cuts through. 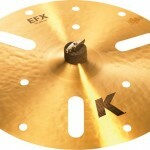 A cymbal with extreme projection.